Mac and Pip waiting patiently outside the Bali Hai restaurant. Mac came in looking for us after a bit. Well, we didn’t get “Step Brothers” watched at Catalina Island or “The Anchorman” watched while in San Diego but we got a lot of mileage out of the endless supply of one-liners in both movies. I feel that I wouldn’t be myself if I didn’t include at least one of them. So if the title to this blog doesn’t make sense, watch “The Anchorman”. It’s one of my favorites (certainly not one of Sonni’s favorites). Firstly, we apologize for taking so long to provide an update. I know that nobody will have any sympathy for us but we’ve actually been quite busy. We just spent 15 days working on the boat in San Diego. Special thanks to Barrett Canfield at South Coast Yachts for providing us with one of his slips at the Sunroad Marina for the duration of our stay. We had two major projects to complete while we were here: one planned, one not planned, and I’m not sure how we would have done them without a dock to work on. We had planned on installing a watermaker since we began planning our journey and I’m happy to say that it works perfectly. Somewhere in Southern California our autopilot decided to retire so that got added to the list. This time we put in a much beefier version. After completing those two monsters we spent another 5 days making final preparations to enter Mexico. The Casino at Catalina Island. We’re parked in the background. Backing up a few weeks to where we left off last time, we had a great time at Catalina Island. We got the scuba gear out for the first time and scrubbed the bottom of the boat. Lots of swimming was had in the bay. Catalina is a small touristy town with lots of shopping and restaurants. 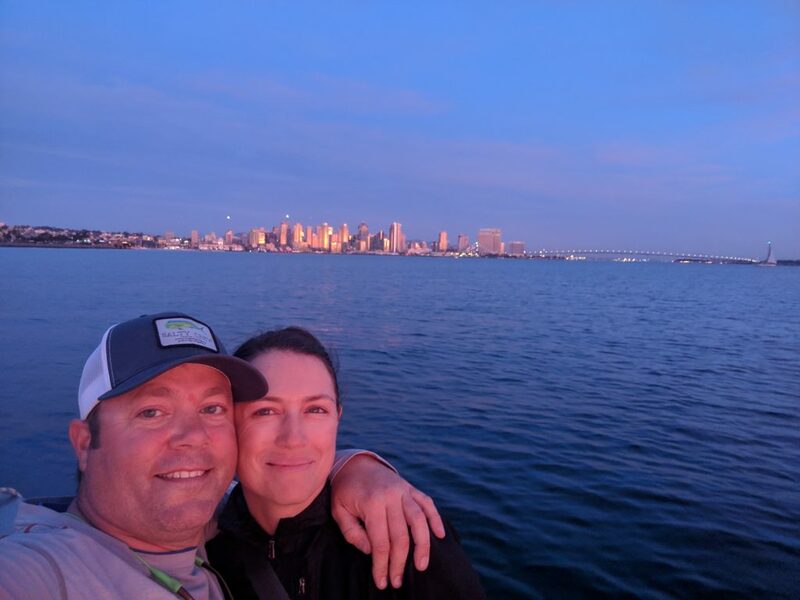 We left Catalina after 3 days and headed to Newport Beach. The moorage area is almost two miles from the marina entrance where we passed some pretty ridiculous houses with even more ridiculous boats parked out front. The boat size seemed to be limited by the width of the lot that the houses were on. While on our mooring at Newport Beach marina we caught the first Santa Ana Winds of the season. 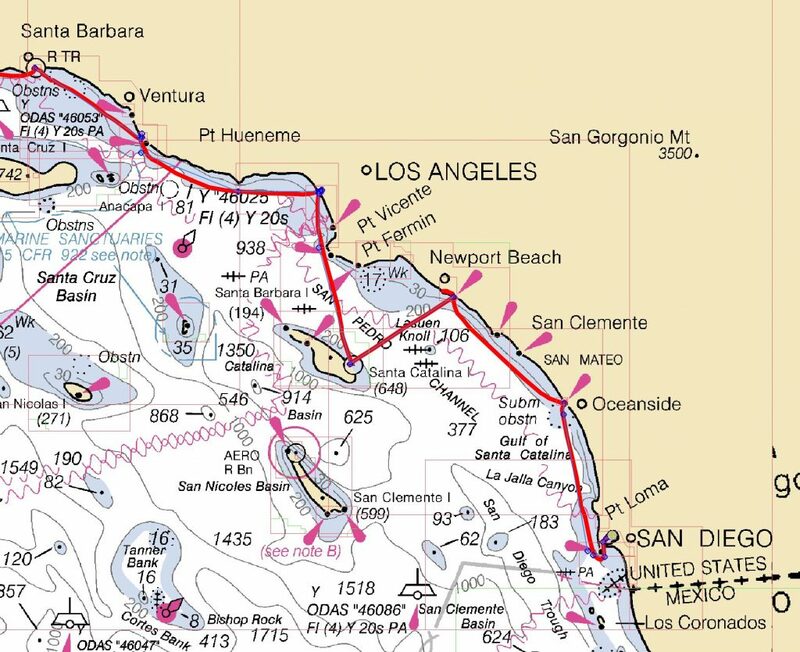 Winds peaked at forty knots but were around thirty for most of the day. Our boat was tied both fore and aft so we ended up perpendicular to the wind. We spent the day tipped about ten degrees to the left. We went into town and found two buildings to hide between to get out of the wind. 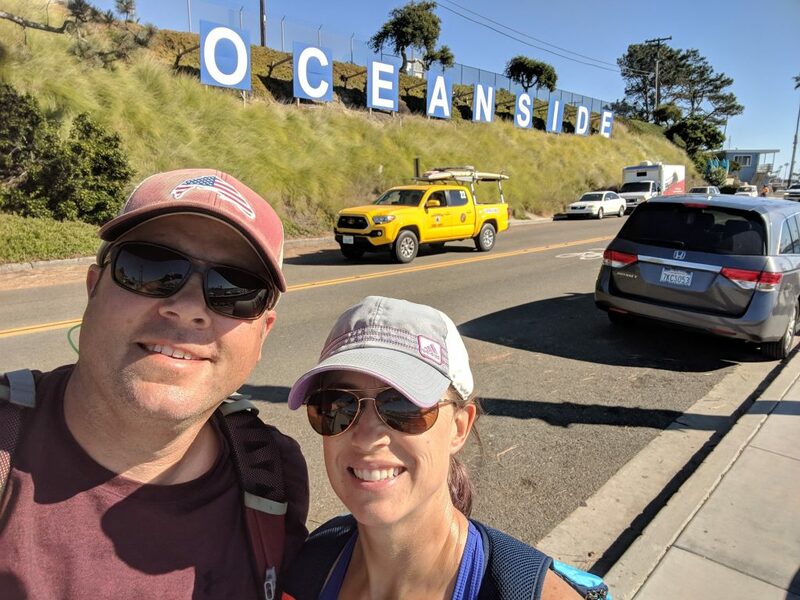 Next stop was Oceanside, California. Since Oceanside was just outside of Marine Corps Base Camp Pendleton, I spent a lot of time there about twenty years ago. First AND second stop, Colima’s Mexican food. Even better than I remember. The city has changed a lot in twenty years but Colima’s was identical. I think the prices are even the same! We met another couple from the Yukon Territory on their boat near us in the marina who loaned us their bikes to run some errands around town. We hope to run into them again in Mexico. 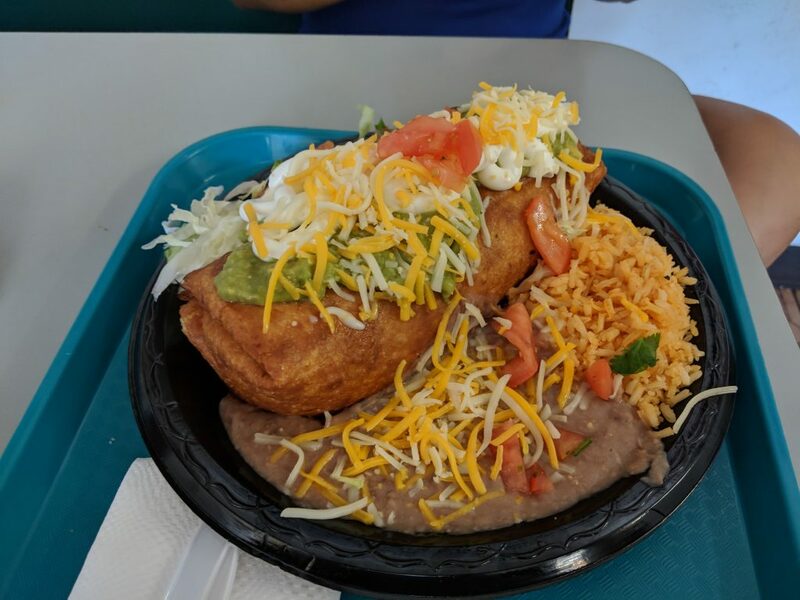 Colima’s Chimichanga. Heaven on a plate! After a couple days in O’Side we headed for San Diego. We got a lot of projects done but managed to get some fun in as well. Sonni’s parents came to visit for four days and we had a blast. 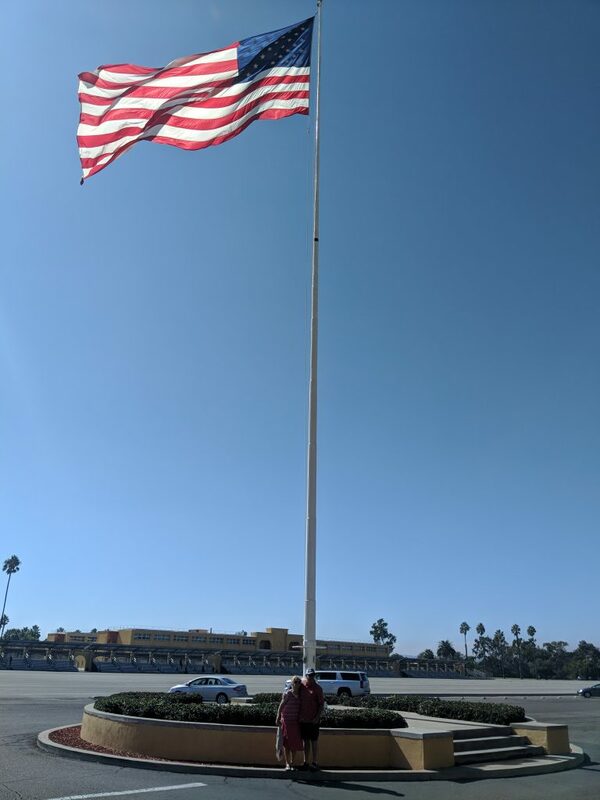 Sonni’s Parents at MCRD San Diego. 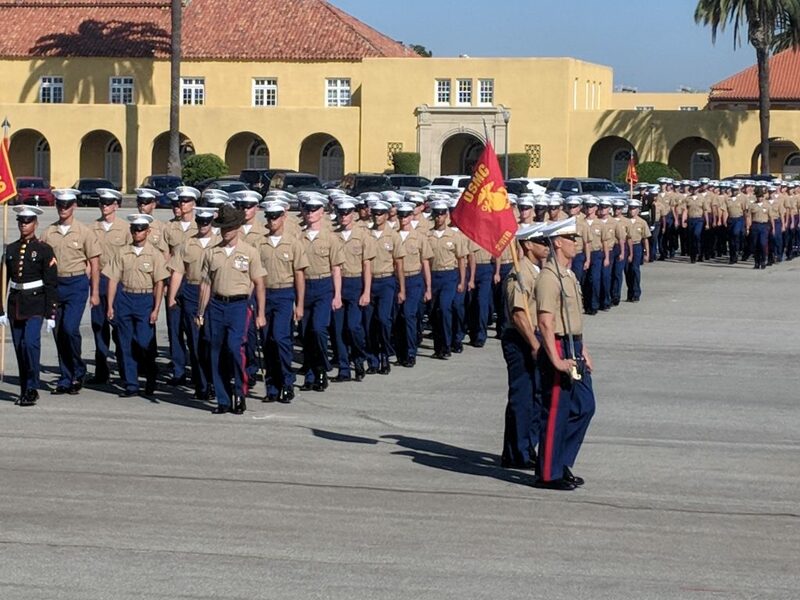 We went to MRCD San Diego and watched a boot camp graduation ceremony. I’m happy to report that in true Marine Corps fashion, absolutely nothing has changed. It was much nicer to watch from the bleachers than the parade deck! 473 New Marines! Semper Fi! We’re certainly enjoying the hospitality and the weather here in San Diego but we must move on. There are tacos to be eaten and margaritas to drink. We will make it a priority to keep everyone up to date but there isn’t much internet between Ensenada and Cabo San Lucas. Evening Dinghy ride in San Diego Bay. 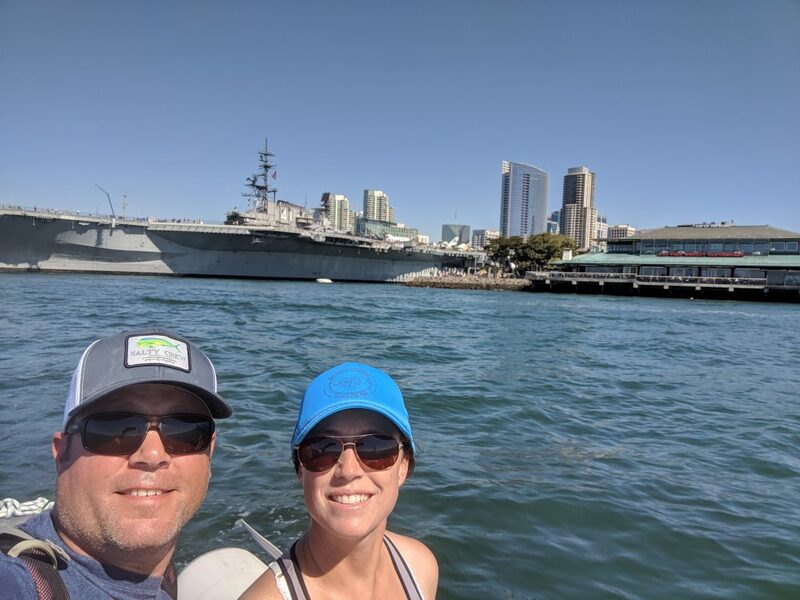 Dinghy Ride in San Diego Bay. 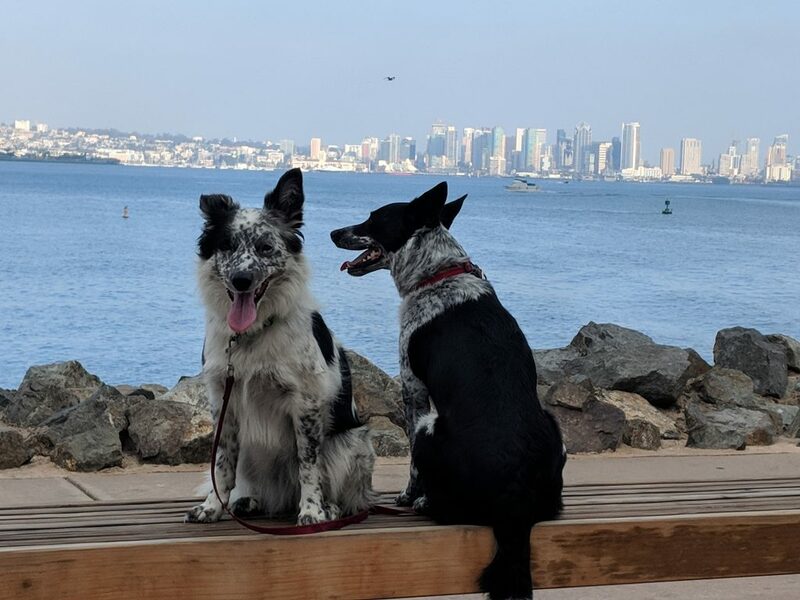 USS Midway in the background. An example of the boats we’ve seen. 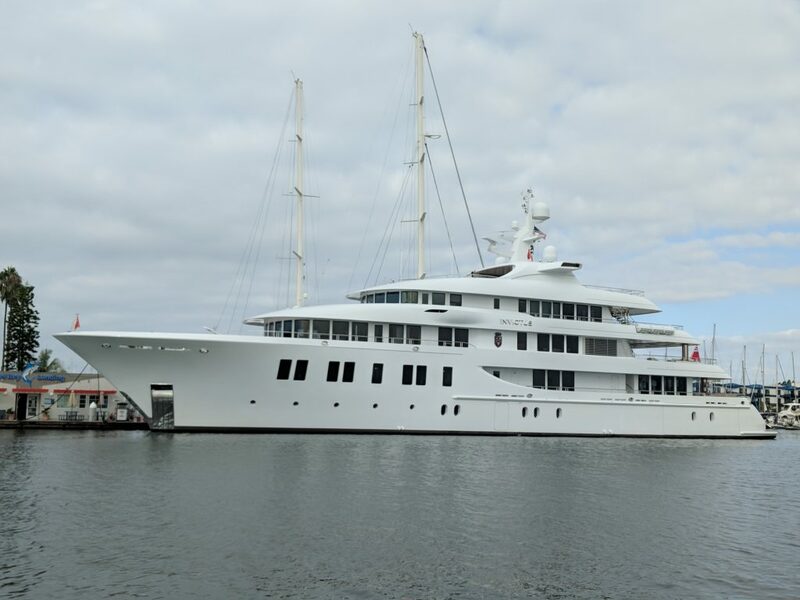 This one can be rented for only $525000 per week! Thanks for the update. Continue to have safe travels.